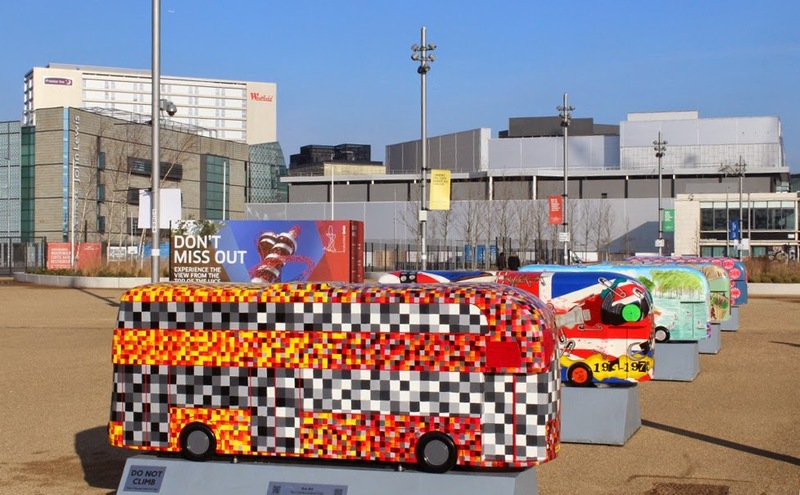 Over the weekend Saturday/Sunday 24/25th January Transport for London (TfL) gathered together all the New Bus for London sculptures in one place at the Olympic Park. 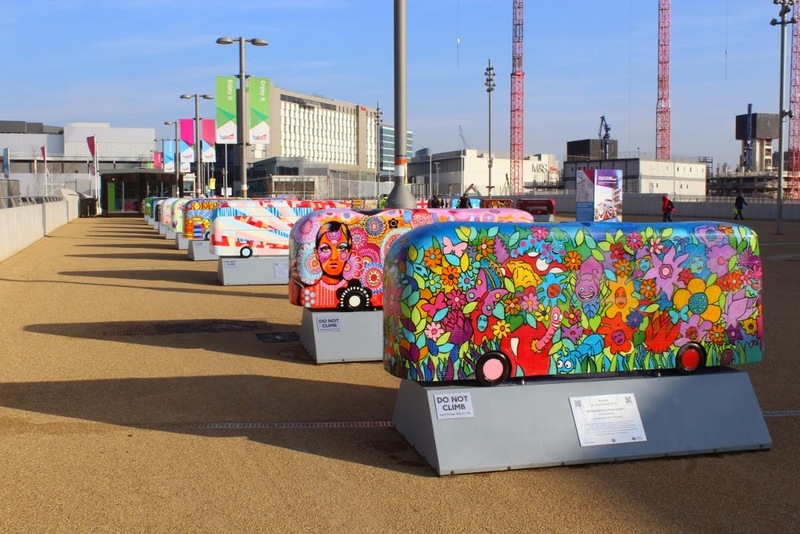 Previously they had been on display for a few months along four separate Sculpture Trails around Westminster, alongside the River Thames, through the Olympic Park and in Croydon. 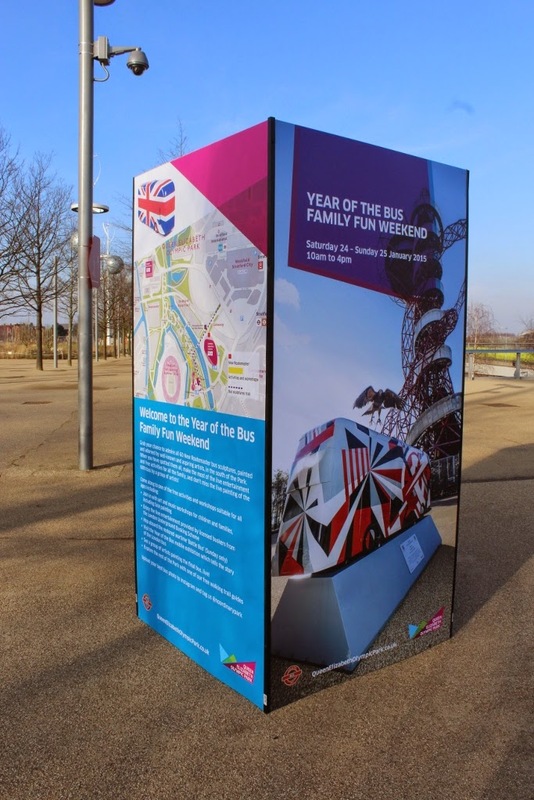 These had been created as part of the Year of the Bus (YotB) celebrations held throughout 2014 and were taken to the Olympic Park for one last presentation and display before they head off to be auctioned on the 11th February. John Parkin has been kind enough yet again to supply the Focus Transport website with a selection from the display, plus a couple of other interesting items. 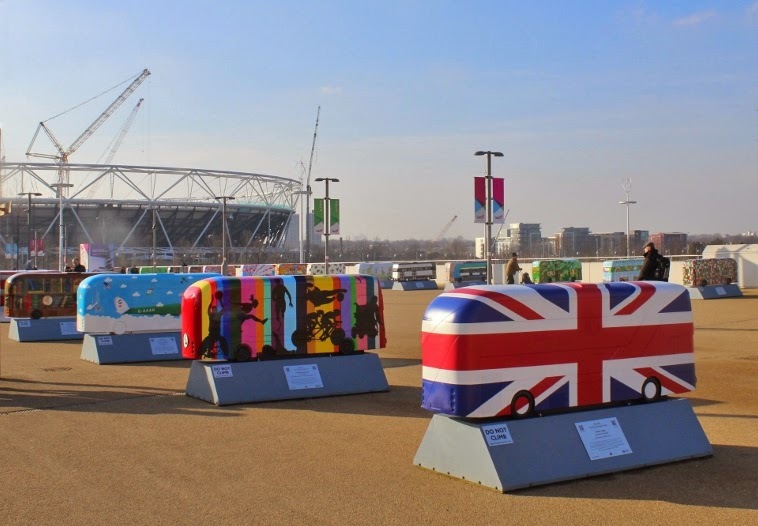 The sculptures were arranged so as to be visible from all sides but also as whole, the wide open spaces and grounds of the Olympic Park an ideal place for such a fine display, along with the sporting venues as a backdrop. 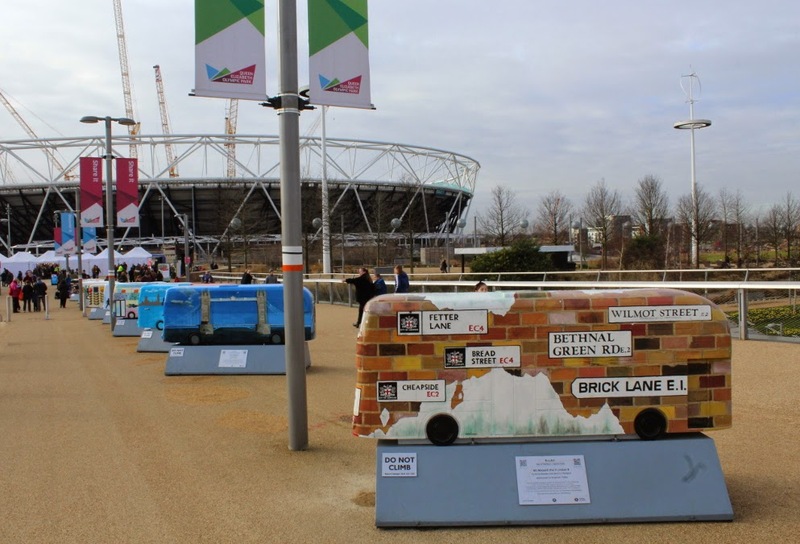 Haydn Davies has also been kind enough to forward a couple of other sculpture images, extras added to the previous sculptures originally on display, as shown below. Also present was New Bus for London or 'New Routemaster' as some would have it called, in the shape of LT 312, one of two that was recently on loan to Stagecoach in East Scotland and used in service on their 73 route between Dundee and Arbroath. 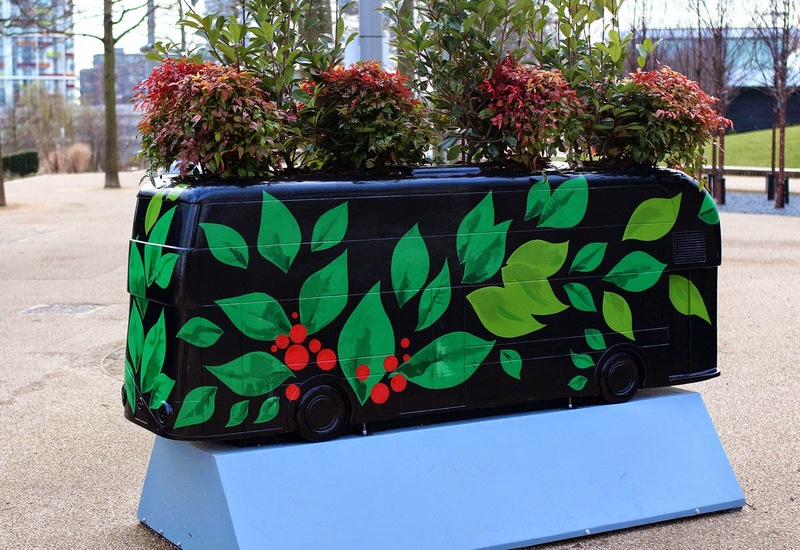 Here it is shown parked up alongside the NBfL sculpture and makes a fine comparison as to the detail of the smaller creation. 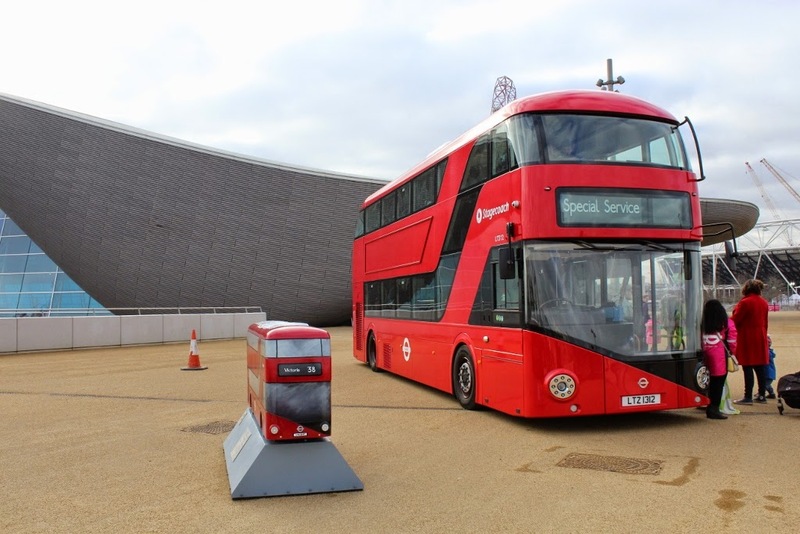 Also present was B 2737 from the London Transport Museum's collection. 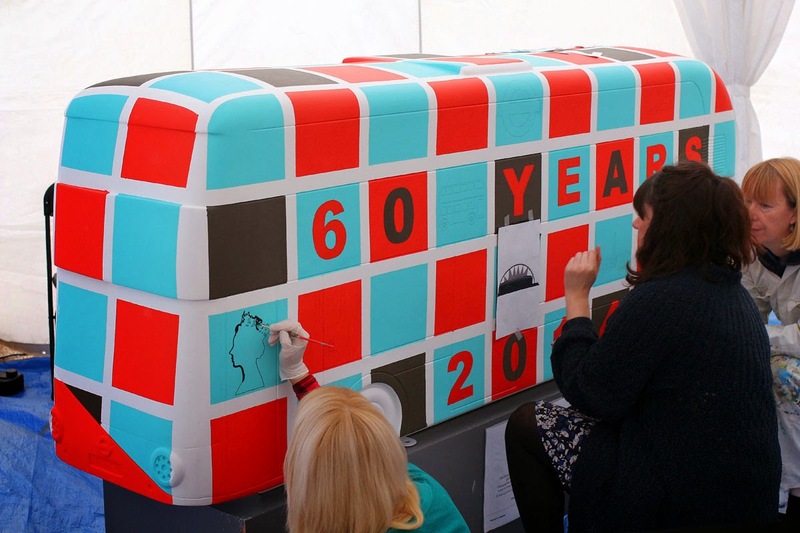 Normally displayed in the red and white livery of the 'General' company, for the YotB celebrations and in conjunction with First World War commemorations, the bus received this 'Battle Bus' livery. 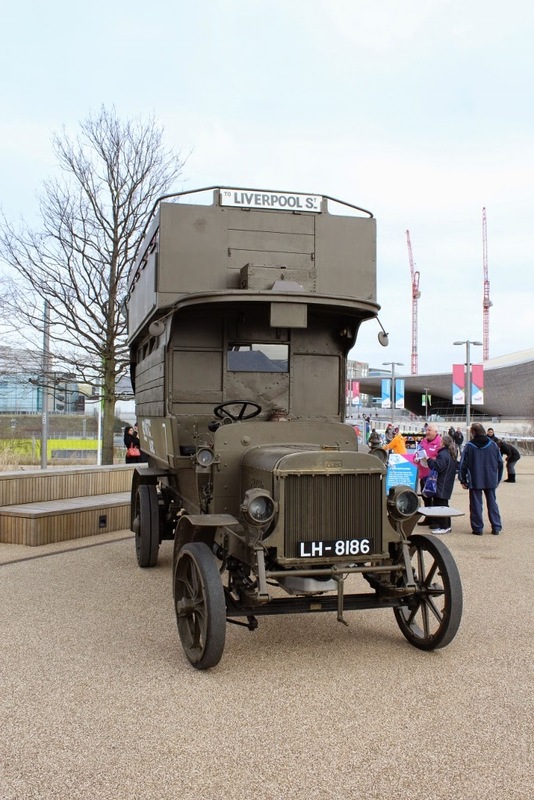 During the 1914-18 conflict over 1,000 of the 'Old Bill' B-type were sent abroad to provide assistance as troops carriers, ambulances and pigeon-lofts. The latter not all that unusual as pigeons were used for message carrying. 600 of the type survived the conflict returning relatively unscathed to these shores, and placed back into London revenue-earning service, including much of the preserved B 2737 above.